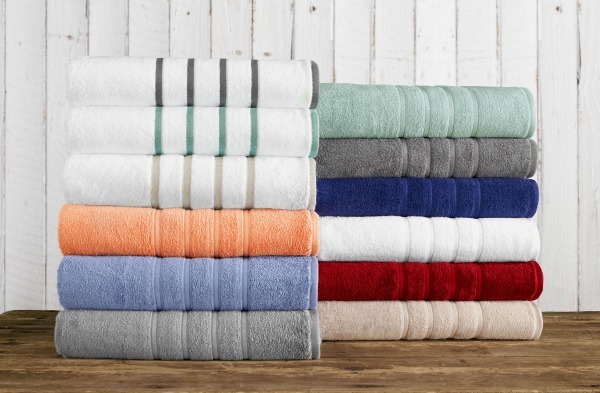 Have you heard of 1888 Mills and their American Made towels? 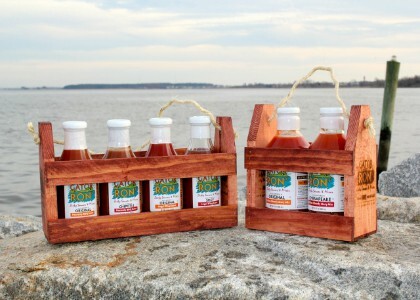 We love their products and we love to support their business. They are sponsoring this week's giveaway with a set of American made towels for one of our readers. 1888 Mills manufactures American Craft luxury towels in Griffin, Georgia with genuine craftsmanship that has been handed down from generation to generation. 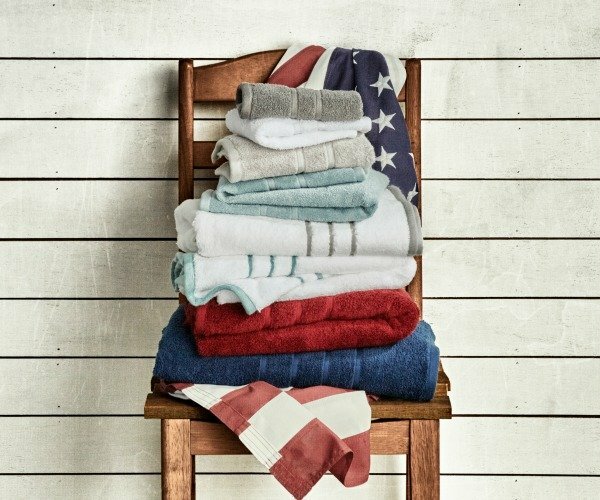 American Craft towels are 100% grown, woven and sewn in the United States. From the seed that is planted to the cotton harvested, American Farmers carefully cultivate the cotton to make sure only the finest quality is used. American Craft is a celebration of pride and excellence. 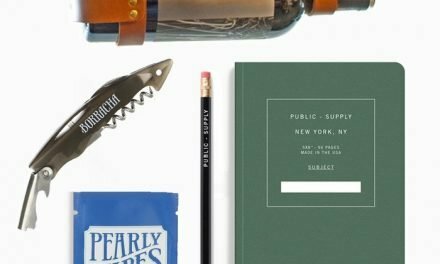 The American Craft brand represents Heritage, Luxury, Value and most importantly Quality. Products are 100% inspected, from seed to towel which guarantees the durability and performance you would expect from American made product. American Craft towels are available exclusively at Bed Bath & Beyond. The winner will receive a double set of made in USA 1888 Mills American Craft luxury towels in color of winner's choice. Prize includes: 2 bath towels, 2 hand towels, and 2 washcloths. There are a variety of entry options including opportunities for multiple daily entries. Good luck! Click the arrows below for further instructions on each entry. This giveaway will close at midnight on Thursday, March 14. The winner will be randomly selected, verified for correct entry participation, and notified by email. 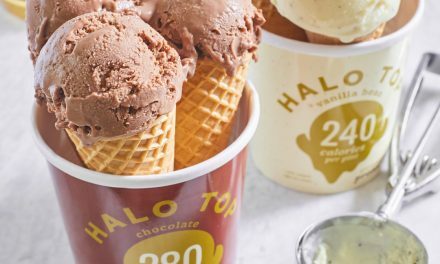 Giveaway: Halo Top Ice Cream – You MUST Try it! I would love to have this set of because I love the fact that they are 100% US grown and sewn. I also really prefer all cotton towels, though they take longer to dry when washed they are also absorb better than just a cotton and other fiber mix. My towels are 20 years old and shabby, they bring me no joy! An update with American made quality would be joyful indeed! I was aware of 1888 Mills because of a past review here. I definitely need new towels, everyone here has their favorites and they are used and washed often. I try to buy American made products because of the high quality. I want to win because I’ve never tried this brand before and they look like such a pretty set. I have only old, cheaply made, mismatched towels. I would love some new, well-made, high-quality ones from 1888 Mills! 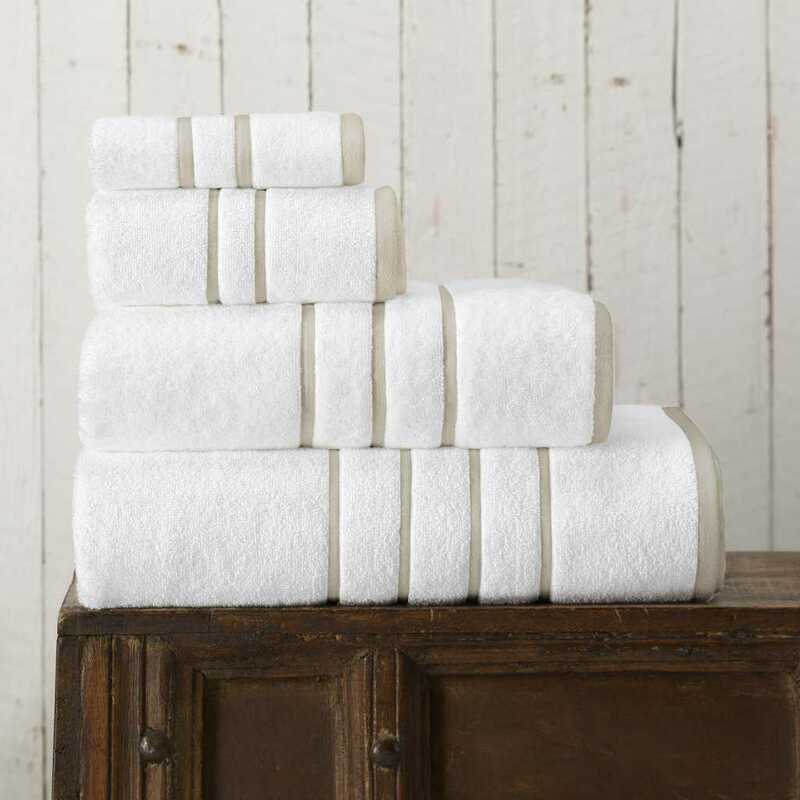 I’ve never had any towels from 1888 Mills, but I’ve known about them for a while _ I read about the company on this website a few years ago, and have wanted some of their towels since. I like their commitment to quality and sustainability. Buying products made in the US is one of the ways I try to avoid sweatshop labor and other expoitative labor practices. I try to buy USA to keep American workers employed! I haven’t heard of the company before, but shared with my mom and she hadn’t either. I try to buy American made to save money in the long run, less items to buy if they last longer. I would love to win because I love their towels in the Moss color. These look like some high quality towels and I would love to try a set! I think it is so important to promote American jobs, and I had not heard of this company before. I’d love to have some new, high-quality towels to replace my old ones. I’d like to have some 1888 products – a company that’s still around after more than 130 years must be doing something right! I first heard about this company from USA Love list. I would like to win because I could really use new towels and these sound great. It is important to me to seek American made products because I want a product that is high quality and lasts long. I would love to win these towels because I rarely splurge on a purchase for myself. I would like to win because good towels are hard to come by and these sound excellent. I would love to win because my daughter goes through towels quickly. These would make a nice gift for my mom. I try to buy american made to support our economy. I would love to win because these look like a beautifully made product and would be a wonderful addition to my bathroom. It would be nice to have new towels. This is the first time I visited. I would love to win because my hand towels need an update in our guest bathroom. I try to buy American made products because I want more companies to stay in business here. If I win I would probably keep these for myself because I want to try them out then maybe buy some for gifts for family. I’d like to win so I can replace my worn old towels with nice, ethically-made new ones. I try to buy products made in the US or certain other countries in order to avoid supporting sweatshop labor. I like the 1888 MIlls supports ethical and eco-friendly practices. I love the quality and of course the fact that they are “Made in the USA”. My towels are getting threadbare in spots and need replacing. I definitely need new towels for myself. I would love to win because of the great colors they sell for the towels. I try to buy American made products because of the quality that they produce. I would really be excited to have a new set of 1888 Mills towels. they would make a great addition to my bathroom. I try to always buy American made to keep the money in the United States. I always try to buy American. I feel like we all should help keep our country in jobs. Not to mention that the quality is always better! I would like to win because my towels are old and not made in the US. I try to buy american made products to save money by not having to buy the item again so soon. If it’s better quality it will last longer. I am excited about the 1888 towel line. Never heard of them before this review. I try to buy American made products because of the great quality. When playing keno, you choose your numbers with just around 10, founded on the numbers between 1 and 82. It is important to me to seek out American made products because I want American companies to stay in business. I would love to keep these for myself, they look so soft and absorbent. I would like to win so some new towels finally grace our bathrooms.